At Community Housing Coalition of Madison County, North Carolina, our mission is to promote and facilitate healthy, safe, and affordable housing through advocacy, education, and resource development. How can I maintain my home? How can I get assistance? How can I get involved? "The Community Foundation of North Carolina Grant Award"
Eats and Drinks in April is at Smoky Mountain Diner in Weaverville. Generous owner, Genia Peterson, will donate to CHC’s mission at the end of the month! And, all April long, you can drop your spare change in the donation jar on the counter! Don’t miss this opportunity to enjoy some great food, friendly faces, and outdoor seating in beautiful Hot Springs. CHC’s “Eats and Drinks for Affordable Housing” exists to strengthen relationships in our community, bring awareness to CHC’s mission, and promote/support local businesses who partner with us on this year-round initiative. CHC is in its third year of Eats and Drinks and looking forward to continuing the tradition for many to come. Previously, CHC has partnered with: Mosaic Gourmet, Madison Natural Foods, Wagon Wheel, Spring Creek Tavern, Papa Nick’s, Smoky Mountain Diner, Blue Mountain Pizza, Stackhouse, Zuma Coffee, Good Stuff, Sweet Monkey Cafe & Bakery, Happy Cinco de Mayo, and B’aad Sheep Burrito who each donated 10% of one day’s sales per week or month to support CHC’s urgent housing work. CHC is accepting referrals for housing rehabilitation in 2019. Over 75% of our referrals come from friends, family, and neighbors who see a need for help in the community. If you know someone who needs help in their home, please contact us so that we may provide assistance. If you are in need of housing assistance for yourself or your family, please feel free to fill out an application and contact us regarding your home. 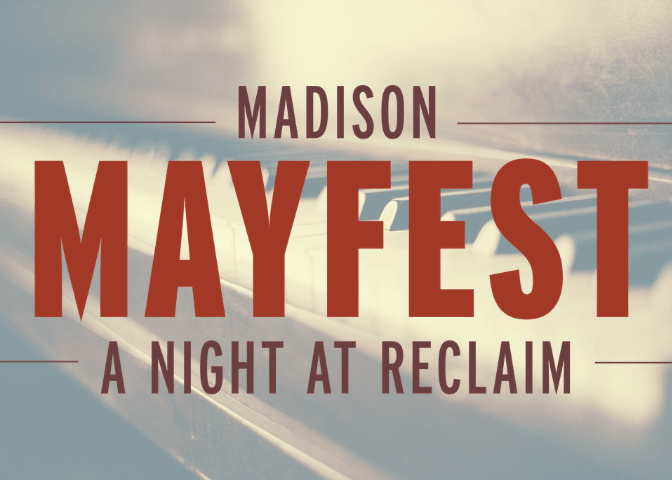 On May 4th, the old Coal, Feed, and Lumber Store, soon to become ReClaim Madison, will be the scene of Madison MayFest: A Night at ReClaim – an event that you cannot miss! Think early 20th century social club and you’ll have an idea of what’s in store: live music to set the tone, a variety of food bars (catered by Colorful Palate!) and libation stations, ways to engage with your friends AND the old warehouse! And a Preferred Pairings Salon upstairs where wine, chocolate and coffee meet to deliver some deliciousness that may surprise you!